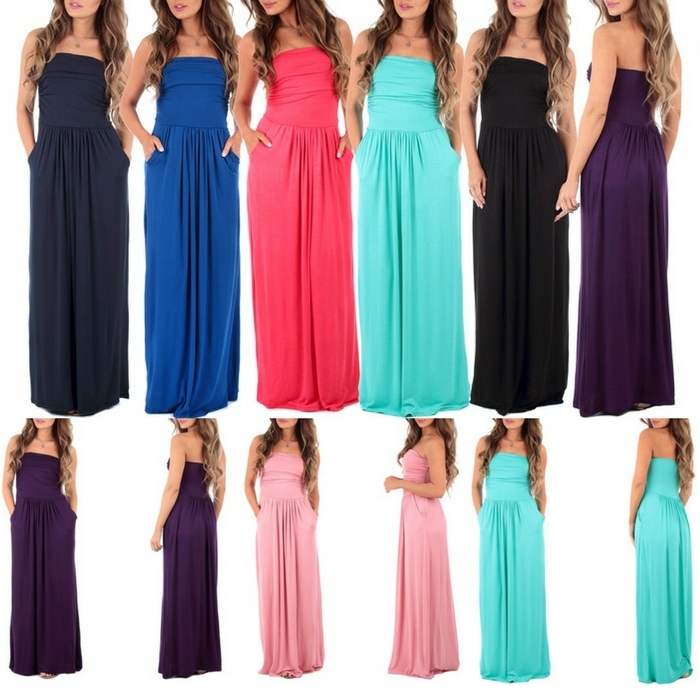 Women's Strapless Ruched Maxi Dress With Pockets Just $19.99! Down From $80! You are here: Home / Instagram / Women’s Strapless Ruched Maxi Dress With Pockets Just $19.99! Down From $80! Women’s Strapless Ruched Maxi Dress With Pockets Just $19.99! Down From $80! We have a great deal on women’s dress at Groupon! Score this Women’s Strapless Ruched Maxi Dress With Pockets for just $19.99 down from $79.99 PLUS FREE shipping for orders over $35! This maxi dress has a stretch-fit fabric which makes it really comfortable to wear! It also has dual side pockets. You can choose from different pretty colors!